With two female guitarists at its helm, Arzu Gokcen and Christy Hunt, the band has a unique sound laden with lyrics that pay homage to the groups hometown, the Twin Cities. Glam-punk band Pink Mink formed as a collaboration between some of the cities' most talented musicians. 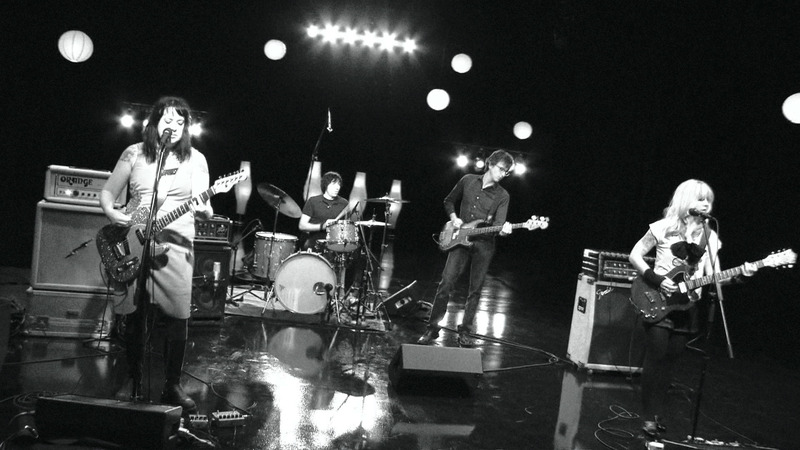 With two female guitarists at its helm, Arzu Gokcen and Christy Hunt, the band has a unique sound laden with lyrics that pay homage to the group's hometown, the Twin Cities. Pink Mink, with two female guitarists at its helm, Arzu Gokcen and Christy Hunt, perform.